Refer a Friend to Sacramento Periodontics and Recieve $50 Off! Do you have a family member, friend or even spouse in need of an exam? Or possible treatment? Send them to someone you can trust! What is a comprehensive periodontal exam? 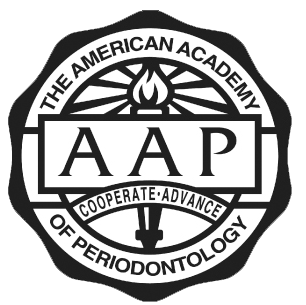 The American Academy of Periodontology recommends that every patient receive a comprehensive periodontal evaluation, or CPE, on an annual basis. The CPE gauges periodontal health, diagnoses existing disease, assesses risk for disease, and determines any treatment, if needed. The CPE can be performed annually be a member of the dental team, including a general dentist, dental hygienist, or periodontist. If your referral attends a consultation appointment for a CPE, on or before January 31, 2014 you will be entered to win the new Kindle Fire. The drawing will be held on February 5th. People who smoke or chew tobacco are more likely to have periodontal disease. Periodontal treatment is also less successful in patients who continue to smoke. Diseases that affect the whole body. Such as diabetes, blood disorders, heart disease, HIV infections and AIDS can lower resistance to infection making periodontal disease more severe. Medications. Steroids, some anti-seizure drugs, cancer therapy drugs, blood pressure drugs, and birth control pills (to name a few) can affect the gums. Some medications have side effects that reduce saliva. Lack of saliva can result in constant dry mouth, which can irritate soft tissues. Teens, pregnant women, and those taking birth control pills. Changes to the body's hormone levels can cause gum tissue to become more sensitive to the toxins produced by bacteria. Genetic predisposition. If your parents wear dentures or you have a family history of tooth loss, be extra alert for changes in your gums. Contagious. The bacteria associated with periodontal disease may be passed from parents to children and between partners. Research suggests that the bacterium that causes periodontal disease can be passed through saliva. Refer A Friend And Receieve $50 Off!! Click below to find out about more special offers! Dr.Shaunda Thomas, Sacramento Peridontist, specializes in dental implants, gum disease treatment, and gum surgery.